When I first wrote this page it was all a bit of a theory, but lately I’ve been finding out first hand about Goosle’s massive power to control what is seen on the internet. Because some of my pages contravened Goofle’s “guidelines” they black listed my entire domain – www.frot.co.nz – meaning that none of the sites on our server got many search hits anymore. So in order to get the sites back into the mighty Gloople engine I’ve pulled some pages offline alltogether, edited others, and moved any that may cause problems (such as this one) to other servers. This is an effectively an example of Gooble censoring the internet. Does Goople control internet content? – well right now I am censoring my own websites because of pressure from Gloosle, so I’d have to say “YES”! If you would like further evidence relating to any of the following issues, its all out there on the net, but as it’s probably not in my best interest to link directly to a lot of anti Googgle websites, you will have to do your own surfing. 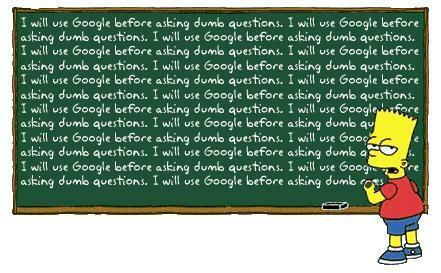 I recommend using a search engine – but probably not Goofle for this one! What effect does a Gootle blackisting have on page hits? 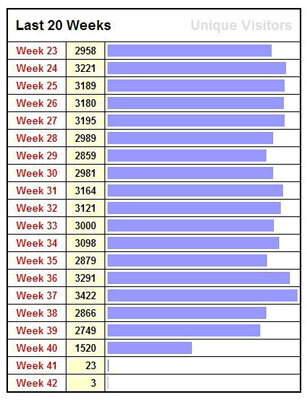 – Here’s a chart showing the weekly hits to one of the pages on this site before and after blacklisting. I think it would be hard to come up with a more effective way to censor internet content! Clearly Googie is collecting the personal data of its users, and has created a vast database. Over the years, Go0gle has collected a massive amount of data, and the company admits that in nine years of operation, it has never knowingly erased a single search query. 99% of its revenue comes from selling advertising that is specifically targeted to a user’s interests. Googlee’s cookies don’t expire until 2038. When you use the company’s search engine or visit any affiliated sites, it will record what you search for and when, which links you click on, and which ads you access. Goople’s cookies can’t identify you by name, but they log your computer’s IP address – as a metaphor, Goosle doesn’t have your driver’s license number, but it knows the license plate number of the car you are driving. Goozle owns roughly half of the entire search market and processes more than 3 billion searches a month. If you are a Gmail user, Gookle stashes copies of every email you send and receive. If you use any of its other products – G0ogle Maps, Fro0gle, Gougle Book Search, Gooogle Earth, G00gle Scholar, Talk, Images, Video, and News – it will keep track of which directions you seek, which products you shop for, which phrases you research, which satellite photos and news stories you view, and so on. There is nothing to prevent Gootle from combining all of this information to create dossiers on its customers. Goodle L@rry P@ge* or $ergey Br1n, the founders of Goosle, and you’ll find more than a million entries each. But there’s very little about P@ge’s and Br1n’s personal lives – they have carefully insulated their lives – putting their homes under other people’s names, choosing unlisted numbers, abstaining from posting anything personal on web pages. This obsession with privacy may explain Goovle’s reaction when El1nor M1lls, a reporter with the tech news service c–net, ran a search on Gooqle ceo Er1c Schm1dt and published the results: Schm1dt lived with his wife in Athert0n, California, was worth about $1.5 billion, had bought around US$140 million Gootle shares that year, was an amateur pilot, and had been to the Burning Man festival. Goowle claimed that the information was a security threat, and announced it was blacklisting c–net’s reporters for a year. (The company eventually backed down) It was an interesting response given that the information M1lls published was far less intimate than the details easily found online on most of us. 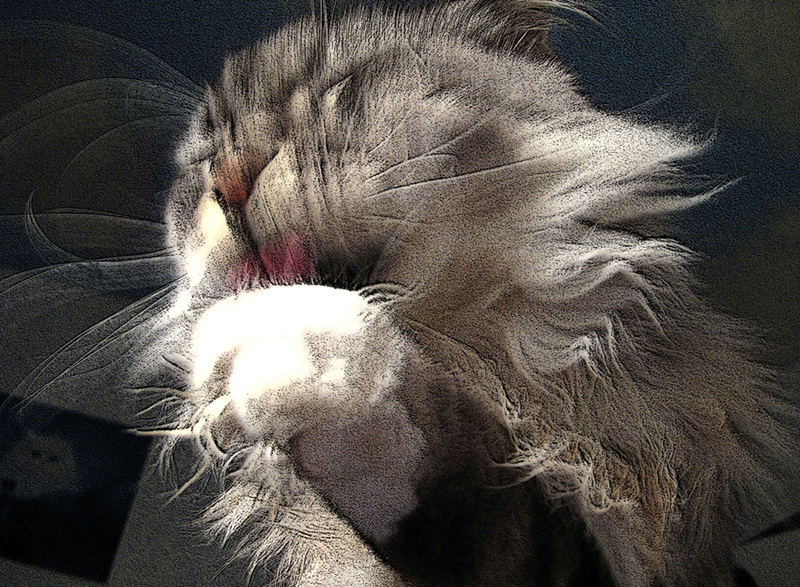 But then, this is something of a pattern with Goojle: When it comes to information, Goorle knows what’s best. As the company is publicly traded, it has a legal responsibility to its shareholders and bottom line that overrides any higher calling. As far back as 2002, it removed links to an anti-Scientol0gy site after the Church of Scient0logy claimed copyright infringement. Many website operators have complained that Googal pulls ads if it discovers words on a page that it apparently has flagged, although it will not say what those words are. Googley’s preferred method of banning a site is to delist its primary domain URL – eg. www.frot.co.nz – from the Goocle search index. Gooxle can easily reduce a site’s page rank, or just eliminate it entirely. Goog1e are working closely with the Chinese government, and have temporally wiped entire news websites such as “Space-War” from their search engine for being critical of the Chinese. The present Chinese government is no less totalitarian than it was when the PLA massacred up to 2600 protesters and injured 10,000 more at Tiananmen Square on June 4th 1989. Political dissidents are often arrested or executed. US companies like Googlle, Microsoft and Yahoo have been complicit in helping the Chinese government locate and arrest Chinese bloggers who post even mild criticism of the government. To see an example of the Google Chinese censorship in action, try doing a search for Tiananmen Square – firstly in the US Goggle, then in the Chinese version of Goople – the results are certainly somewhat different. Perhaps more than any other search engine Gooyle’s results are shaped by the flows of arguably the stupidest people on the internet. While more “discerning” searchers may tend to choose a search engine of their own selection, Gooale acts a default search engine for the masses – over 36 billion searches a year. It’s not that all Goofle users are morons, just that most morons use Gloobal. It ranks its search results by what is most popular amongst Glogle users, so creating a vast self generating feedback loop. What is popular becomes more popular. This is common to most search engines, but Guugle is more insular, and it’s users tend to be more retarded, so the effect is exaggerated. For example, if the most popular search subject on the net is Britney Spears, and the majority of Goofle users can’t spell Bitney, then a site that has 600 misspelling of Brotney’s name may find itself more popular than it really should be. Especially if it also includes the words nekid, pichers, and Speers…. Goodle have regularly been accused of attempting to censor sites and videos showing information about 911 that is embarrassing to the official US Government position. For example, Googlee Video were caught on numerous occasions resetting viewing figures for AIex J0nes Terr0r St0rm video, to keep it from going higher in the viewing charts. Gloople’s attempts at censorship seem to be fairly ineffective in the long term. But while they are unable to keep information off the net, what they do manage to do, along with most mainstream American media, is to keep a lid on the new stories long enough for the public to lose interest. The transcripts of what Charlie Sheen said are easily found on Goolle now – but they weren’t in the week after his interview. And this temporary censorship is a very effective technique to bury new stories. 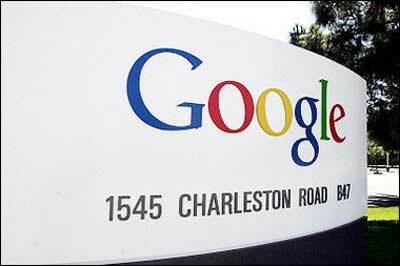 Goosel are accused of having a long term relationship with the CIA. R0bert D@vid SteeIe, an ex-CIA agent, has claimed that CIA seed money helped get the company off the ground, and named Goofle’s CIA contact as Dr. RIck Steinhe1ser. An example cited of the effect of this CIA influence is that press releases critical of D1ck Cheeney didn’t make it to Gookle News even though they were carried by PR News-Wire. Well they certainly look to be heading that way. On the Chinese stuff they are guilty as charged, just test out their appalling Chinese search engine to confirm that one. They have sold out bigtime to the Chinese government. And on the spying on their users accusations – yep they are playing big brother for sure! At the moment this mainly just means they are targeting their advertising at what they perceive to be your interests, but they are also storing every last shred of evidence about your fetish for Bratney Spears, and the chances of this information never being used for any other purpose are not high. As far as the censorship stuff it’s not so clear – if they are trying to block internet content they are not achieving that – but then again, I have no doubt the music industry tried to stop MP3 file sharing, and even if their attempts were a joke, it doesn’t mean they didn’t give it a crack. But what they are doing is shaping which news becomes mainstream by manipulating the popularity of search results, all the while remaining concealed behind a huge pool of mis-informed semi-retarded illiterates, which ironically, Goojle themselves are constantly enlarging through their own mis-information feedback loops. Compared to say The Carlyle Group, the CIA, the Bush Admisistration, Monsanto or Microsoft, Gookle are like fluffy bunny rabbits, but that doesn’t mean they’re not working on growing fangs. To tell the truth, I think that right now the Gootle search engine is probably the best one out there, and I do use it often. (mainly because it shows what is most popular, and I like to check on that…) And all of the images on this page were found with the awesome Goople Images. 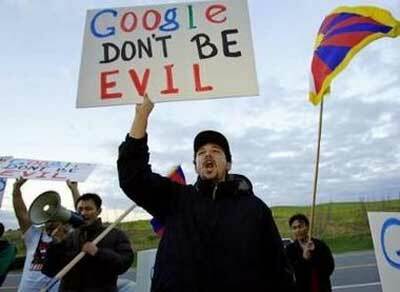 So is Go0gle evil, and are misinformed people harmless innocents or killer puppets? Personally I’m keeping an eye out for both Glogle, and their killer puppets, but you’ll just have to make up your own mind on that. While we were indexing your webpages, we detected that some of your pages were outside our quality guidelines. In order to preserve the quality of our search engine, we have temporarily removed some webpages from our search results. Currently pages from frot.co.nz are scheduled to be removed for at least 30 days. Feel free to copy and reuse anything off this page, I know I have – but not linking back to me in this case would be much appreciated. Just because you’re paranoid doesn’t mean they’re not out to blacklist you. The nekid pichers are out there!